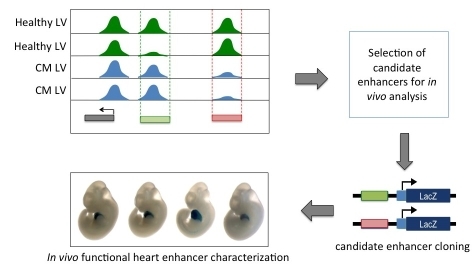 The VISTA Cardiac Enhancer Browser is a central resource of ChIP-seq and RNA-seq data generated from human heart tissues. 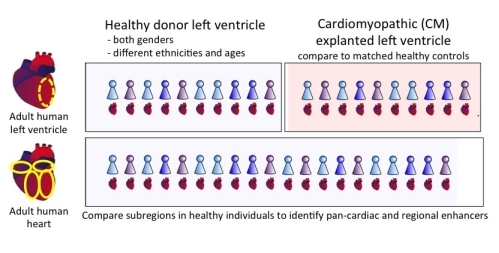 These data will be used to identify putative heart-specific enhancers to be tested in an in vivo transgenic mouse assay. Data from Spurrell CH, et al. (2019) available here. This program is located at Lawrence Berkeley National Laboratory. See About for additional details on this work or visit the Data section to view data. We invite external groups to submit requests for candidate enhancers to be tested.